What is the best beer bar in Portland? 864 of you weighed in. I’ll be upfront here; I’m not much of a beer guy. I don’t like bitter beers, hoppy beers or IPA’s. What I want is something dark as a graveyard night, something to match the color of my soul after moderating comments on this website for the last 14 years. If I down two and am desperate for a nap, I’m happy. 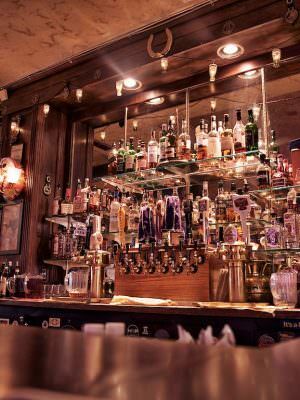 But many of you have strong feelings, so I’m glad you came up with this list of the best beer bars in Portland. There are some interesting changes. It seems you can be a fickle lot, with favorites changing from year to year. Though it only has one location, Horse Brass made the number one slot two years in a row. A few of the bars on lists from previous years have vanished. Bridgeport Brewery was added, which was a surprise to me. The Horse Brass Pub and Breakside Brewing stood out from the others – vote percentages dropped significantly after them. Here are your top 10 beer bars. The Horse Brass is a “traditional English style pub, proudly serving proper 20 oz. Imperial pints and traditional English and American pub grub since 1976”. It is very popular, so plan accordingly. Beer: Esquire listed Horse Brass as “One of the Best Bars in America”, All About Beer Magazine “#7 of the 125 places to have a drink in the world before you die”, and it was featured on The Food Network’s “Secret Life of…Pub Grub”, so it is no surprise that Horse Brass Pub is considered by many to be the best beer bar in Portland. You’ll find a list of 59 local, regional, and international beers on tap. Food: British specialties. “Everything on the menu is made the old-fashioned way, using the freshest ingredients. Our meat pies are made with freshly roasted meat, fresh vegetables and rolled hand-made pastry.” Salads, fish & chips, burgers, steak sandwiches, chicken breast sandwich, steak and kidney pie, vegetable pastie, plowman’s lunch, Scotch eggs etc. Daily specials include Roast Beef & Yorkshire Pudding, Shepherds Pie, Bacon, Mushroom and Swiss Burger and more. Breakside opened in 2010 and has now expanded to three locations. The brewery has won so many first-place and gold medal awards it is impossible to list them all here. 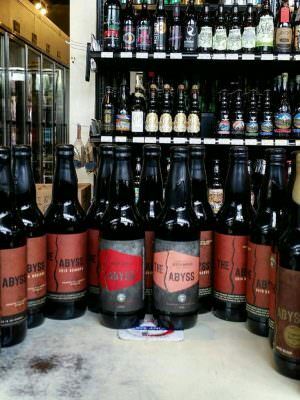 is known for their experimental, barrel-aged and sour beers like Bourbon Barrel-Aged Aztec a strong amber ale with chocolate and chilies that won Bronze at both Chicago’s Festival of Barrel-Aged Beers. Breakside was named Brewery of the Year at the 2017 Oregon Beer Awards and has been written up by Brewpublic, Serious Eats, Thrillist, Portland Monthly, Beervana, Men’s Journal and more. The Dekum location has a nice patio (I think the other does too, but I need to go by and get a photo). 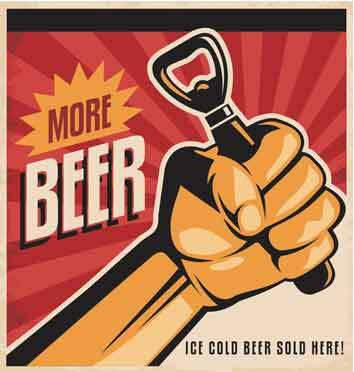 Beer: Over 31 Breakside beers available, along with sample trays. 24 rotating taps. Food: features local ingredients wherever possible, with seasonal organic produce and local ingredients. The offerings vary between locations, but both menus list a large number of items – chicken wings, hummus, jalapeno poppers, and salads, entrees such as various wraps, a smokey Cubano, pork belly sandwich, ahi tuna sandwich, a large mac & cheese plate, carne asada, much more. Even the kid’s menu is great – did I mention the restaurant is family friendly? In 2016 Belmont Staton replaced their old reach-in coolers with a big walk-in. 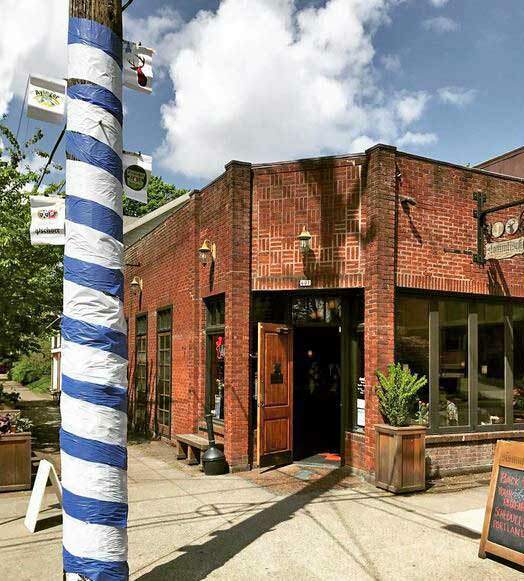 Beer: “The bottle shop features 1,200+ bottles that have been thoughtfully selected, meticulously rotated, and properly stored under UV-filtered light to maintain the freshest selection of beer in the region. The adjacent Biercafé features 20+ rotating taps and a cask “beer engine” naturally carbonated cask conditioned beer.” Note that the bottle shop and the bier cafe have different, limited hours, and both close somewhat early – check the website for the latest hours. Food: sandwiches, salads and “beer snacks” provided by our on-site food cart, Monk’s Deli, located in our back yard. Monk’s deli is open from 12pm-9pm, seven days a week. You can order directly from the cart or order from the bar and let our bartenders grab it for you.” The menu consists of various Cheesesteak Sandwiches, a Cubano, Italian Hoagie and a Grilled Veggie and a few classics. No happy hour, but special $3 pint each day. Prost! is a German pub from the Chris Navarra and Dan Hart. Their second pub, Stammtisch is also on this list. Beer: A destination if you are a fan of German beers: “Each bier, imported from Germany, is poured properly into its appropriate glass, fulfilling German tradition and guaranteeing great taste.” They currently have 11 beers on tap. All tables are communal. Food: German fare – eight snacks: Pretzels, several salads, Smoked Sausages, a Bier Cheese Soup, Pâté… and for bigger appetites a Bratwurst Sandwich, Pretzel Sandwich, Curry Wurst, Bratwurst Teller, Wurst Sampler, Smoked Pork Tenderloin and a few specials. Beer: The menu has grown steadily, now featuring 6 year-round beers, 8 IPX, 2 seasonals (I want to try the “Abominable Winter Ale”), 3 Imperials, fruit blends, Belgians, and cider. Food: their commitment to sustainably made beer carries over to their food menu. The list is large with lots of salads, soups, burgers, sandwiches, build-your-own calzones and pizza. Low-gluten pizza and gluten-free buns may be specified on the burgers and sandwiches. They also feature a family-friendly kids menu. Stammtisch is the newest German pub from the Chris Navarra and Dan Hart, the same people who opened the very popular restaurant, Prost! which also appears on this list. Beer: They feature the best German beers available in Portland, with select rotating handles. There are currently 19 on draft. Food: The menu is more advanced than the other pubs on this list, offering real German food: Kartoffelpuffer, Spargel mit Bernaise, Braten Hasen (fried rabbit), Miesmuscheln (mussels), Brotzeit Teller (Bavarian meats & cheeses), Maultaschen (pasta filled with leek fondue), Sauerbraten, Wurst, and Jägerschnitzel. Prices are quite reasonable. In my opinion, their menu offers the best pub food out of this list (though I am biased towards German cuisine and beer). Laurelwood Brewery and Public House was opened in 2001. The owners wanted to create a pub that made you feel like you were at a party at their house. Judging by their quick expansion, they are doing something right. Beer: The NE Sandy location has a 15 barrel brewing system where the beers are made. The tap list consists of five year-round beers, and nine rotating varieties. Food: This is another brewery that has a surprisingly large food menu. It runs at least three pages and includes a kid’s section. Look for a selection of burgers, fish tacos, fish and chips, a burrito, chicken strips, St. Louis ribs and much more. There is literally something for everyone. Need more? A weekend brunch is served Saturday and Sunday from 10 am – 2 pm. Even the airport location menu is large. Ecliptic Brewing was started by John Harris, a longtime Portland brewer. He created the recipes for Mirror Pond, Black Butte Porter, Jubelale and Obsidian Stout, and then went on as brewmaster at Full Sail Brewing before starting Ecliptic. The bar has an astronomy theme and is named for the earth’s yearly path around the sun. Accordingly, the seasonal menu rotates every six weeks. They have won many awards since they opened – ten in 2016 alone. Ecliptic Brewing is also known for its large outdoor space. 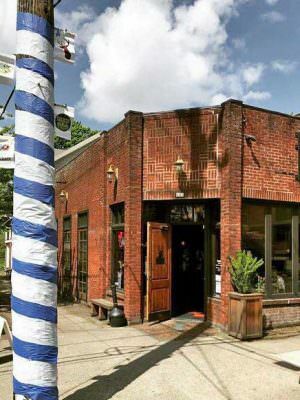 Unlike many on this list, the brewpub has a full alcohol license. Beer: 13 are on tap as of this writing, covering the full gamut of types including fruit ales. 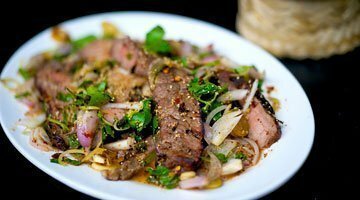 Food: The food menu is large, offering something for everyone. It’s mostly the pub food you would expect, but lots of choices for reasonable prices. A child’s menu is available. Saraveza opened in 2008. 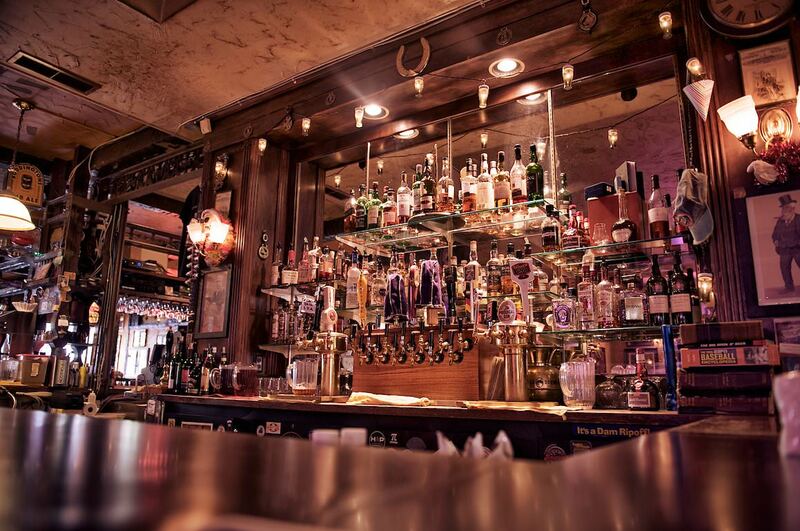 Draft Magazine voted them “One of America’s Best Beer Bars: 2011 – 2014″. The kitschy interior is warm and inviting, with lots of old beer signs and memorabilia dotting the walls. 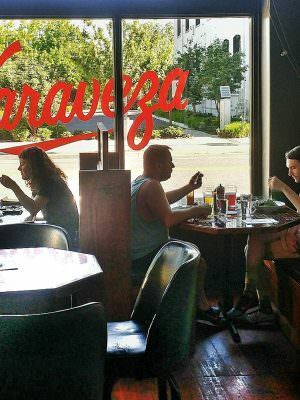 Beer: Saraveza’s emphasis is on American Craft as well as hard-to-find beers, the newest seasonal brews, and classics. The store carries over 250 bottles along with a selection of vintage bottles, and the pub has nine rotating taps. 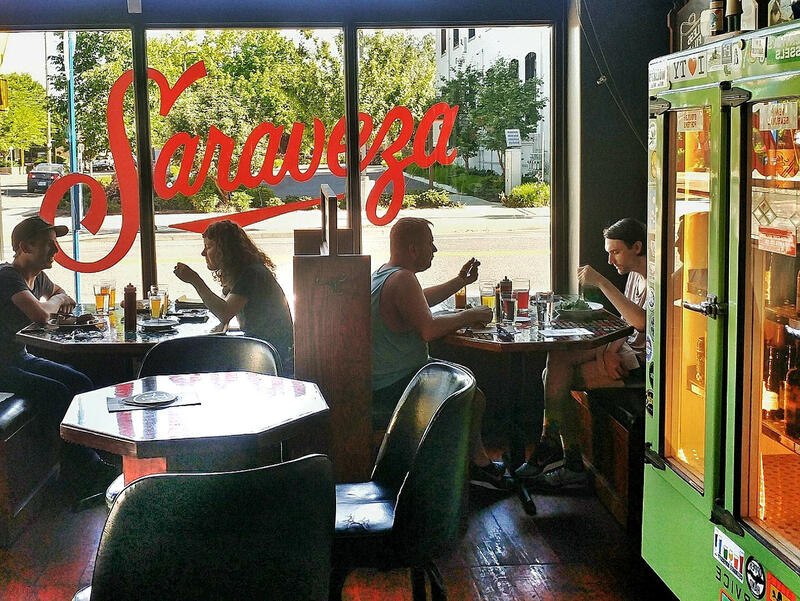 Food: Saraveza recently remodeled their kitchen, and is now showcasing American classics. The current menu has a wide selection of snacks, vegetables and salad plates, a cheese, trout and meat board, and larger plates ranging from Falafel Sandwich, Brisket Sandwich, Mussels, Buttermilk Fried Chicken, Chana Masala and more. I’m surprised Bridgeport Brewery did so well, as it has never made our list before, but it brings back memories for me. A Bridgeport Blue Heron Ale was the first beer I ever tried which wasn’t mass market. I still have fond memories of picking up a couple of six-packs on a trip to Portland in 1989. The brewery is housed in an old industrial cordage (rope) factory on the edge of the Pearl District. The founders took over the location 30 years ago and did a complete remodel about ten years ago. It features a very popular patio on the old loading dock along NW 15th Ave.
Beer: thirteen beers are available, nine on tap. Food: folks seem to gravitate towards the 12″ pizzas, which are available in five different preparations. A gluten-free crust is available. They also have lots of sandwiches, pub standards like shepherd’s pie and ale brats, etc. 2013: Apex Bar, Horse Brass Pub, Saraveza Bottle Shop, Bailey’s Taproom, Prost! 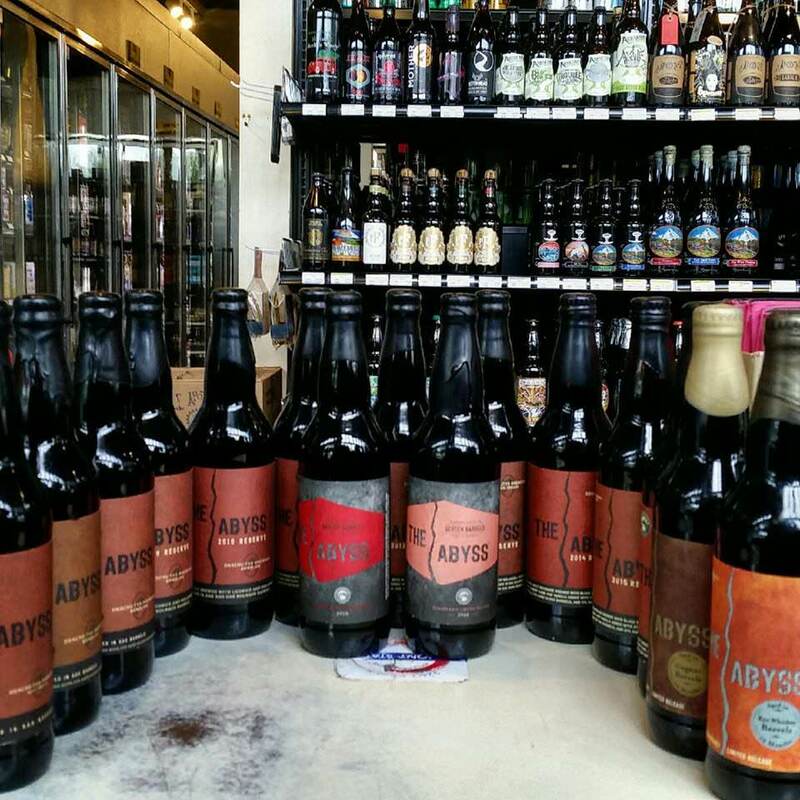 2012: Saravesa Bottle Shop, Horse Brass, Apex Bar, Prost!, Bailey’s Taproom, Hopworks, Green Dragon, The Victory Bar, Grain & Gristle, Belmont Station. You can see a list of other 2017 survey results here. Category: Best of Portland 2017. Related posts about Belmont Station, Breakside Brewery, Bridgeport Brew Pub, Ecliptic Brewing, Hopworks Urban Brewery, Horse Brass Pub, Laurelwood Public House, Prost! Restaurant, Saraveza Restaurant, Stammtisch Restaurant. Apex, Bailey’s Taproom, & Roscoe’s are shockingly absent from this list, apparently replaced by single brewer “brew pub” locations (many of which are also restaurants). Portland is lucky to enjoy world class beer bars as well as brewpubs, and I’d suggest this category be split in two to highlight both in the future. With this type of survey, it’s often more of a measure of awareness than well-considered quality: votes to go “the best [example of category] I know.” That said, I enjoy the site and the annual surveys in particular. Thanks for the comment. If there had been an 11th bar on the list, it would have been apex. Bailey’s was 16th. I like the idea of breaking it into two questions, though it is difficult to get people to vote these days – it seems like there is a poll every week now.